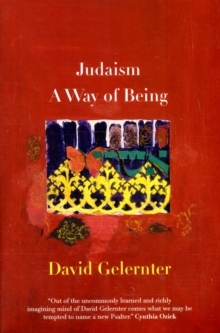 Written for observant and non-observant Jews and anyone interested in religion, this remarkable book by the distinguished scholar David Gelernter seeks to answer the deceptively simple question: What is Judaism really about? Gelernter views Judaism as one of humanity's most profound and sublimely beautiful achievements. But because Judaism is a way of life rather than a formal system of thought, it has been difficult for anyone but a practicing Jew to understand its unique intellectual and spiritual structure. Gelernter explores compelling questions, such as:*How does Judaism's obsession with life on earth versus the world-to-come separate it fundamentally from Christianity and Islam? *Why do Jews believe in God, and how can they after the Holocaust? *What makes Classical Judaism the most important intellectual development in Western history? 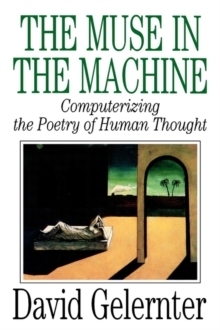 *Why does Judaism teach that, in the course of the Jewish people's coming-of-age, God moved out of history and into the human mind, abandoning all power but the capacity to talk to each person from inside and thereby to influence events only indirectly?In discussing these and other questions, Gelernter seeks to lay out Jewish beliefs on four basic topics-the sanctity of everyday life; man and God; the meaning of sexuality and family; good, evil, and the nature of God's justice in a cruel world-and to convey a profound and stirring sense of what it means to be Jewish. Pages: 248 pages, 4 color illus.